Mr. John Kwamena Essel, is the Founding Pro-Chancellor of the Knutsford University College. The Pro-Chancellor is the Executive Chairman of the Board of Directors of the University College and the Head of Strategic Business Investment and Development Team. He also deputizes for the Chancellor and he assumes all his powers and functions in his absence. His executive role allows him to assist the Chairman of the Council and the President of the University College in the performance of their functions. Mr. John K. Essel is an astute self-developed businessman and leader in entrepreneurship development and creativity. A graduate of the UST School of Mines, now University of Mines (UMaT), Mr. Essel diverted his attention from engineering into creation of enterprises. He has helped create and develop some SMEs in Ghana and beyond including Alissel International Company Limited and Knutsford Education Group. Mr. Essel also served as the founding Deputy Registrar and Acting Registrar of one of the first private university colleges in Ghana. Furthermore, Mr. Essel has a special interest for preaching, teaching and evangelism. He has worked among the Churches of Christ in Ghana and beyond for close to four decades. His passion includes prison ministry and missions. Mr. Essel holds an International MBA with focus on Marketing and Strategic Management. 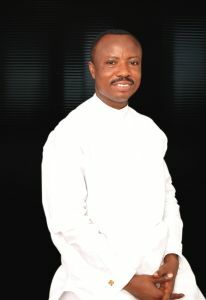 Currently, he is in charge of the Knutsford Church in Ghana and also he serves as the CEO of Alissel International Limited in Ghana, Africa.